Telugu producer actor Kalyan Ram made a great comeback with Pataas which set the cash registers ringing in Tollywood. While rumours were spread that Kalyan Ram and his uncle Balakrishna are contemplating on remaking Vijay’s Super hit Jilla, we hear that Kalyan Ram's Pataas is going to get a Tamil remake. 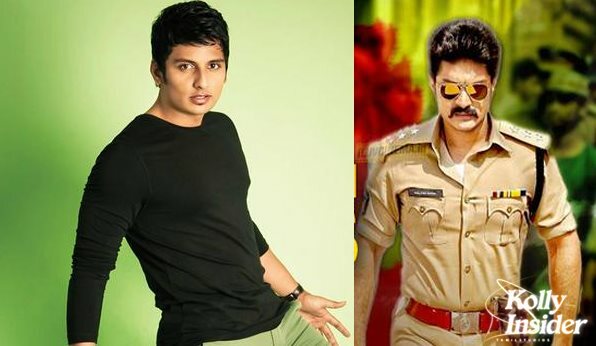 And it would star none other Jiiva in the lead. Popular southern producer RB Chaudhary, who has acquired the remake rights of recent Telugu hit "Pataas", plans to make the film in Tamil with his son Jiiva, who already has two projects in his kitty. "RB Chaudhary sir has acquired the remake rights of 'Pataas'. It's not official yet, but he has plans to make the film with his son. Other details about the project are awaited," a source close to the producer told. "Pataas", which released earlier this year, starred Nandamuri Kalyanram in the role of a corrupt policeman. Meanwhile, Jeeva has Tamil comedy "Kavalai Vendam" and a yet-untitled romantic-comedy in his kitty.